Silly Bee's Chickadees: Yay, Me! I'm on Tip Junkie! Yay, Me! I'm on Tip Junkie! Eeeeep! I'm verklempt! Tip Junkie featured another one of my ideas on their fabulous blog! 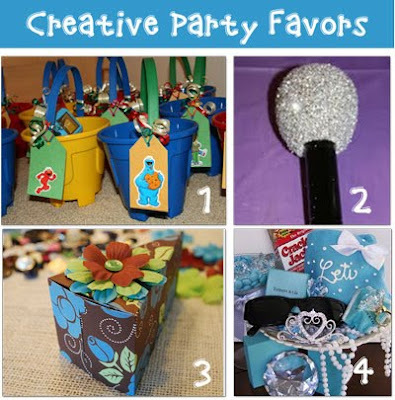 It's a post about creative party favors and they included the little gift bags that I did for Leti's bridesmaids slumber party, Breakfast at Melly's (item #4.) If you would be so kind, please click on the image above and leave a comment about my party favor. I'm verklempt, I tell you! Comment amongst yourselves. ummm, you're the coolest party planner ever! I Wanna Gobble Them Up!